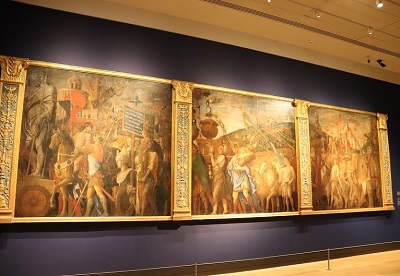 The National Gallery present a new exhibition that tells the story of two artists, Mantegna and Bellini and explores some of their relationship and artistic development. 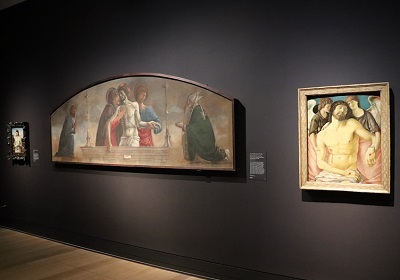 The exhibition entitled Mantegna and Bellini is the first ever devoted to the relationship between two of the greatest artists of the Italian Renaissance: Giovanni Bellini (active about 1459–1516) and Andrea Mantegna (1430/1–1506). 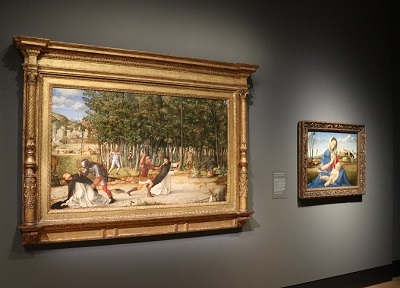 The exhibition includes exceptionally rare loans of paintings, drawings, and sculpture from around the world which provides a once-in-a-lifetime opportunity to compare the work of these two important artists who were also connected by family. Andrea Mantegna was a talented young painter from Padua, when in 1453 he married into one of the greatest artistic families of nearby Venice – the Bellini. Mantegna’s new brother-in-law, Giovanni Bellini, was a gifted artist who was bringing new innovations to the Venetian art. 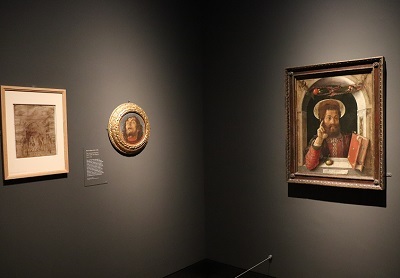 Room One of the exhibition is called ‘Beginnings’ and provides some of the cultural context of the two cities that shaped Mantegna and Bellini – Padua and Venice. One of the highlights in this section is ‘The Jacopo Bellini album’ on loan from the British Museum. 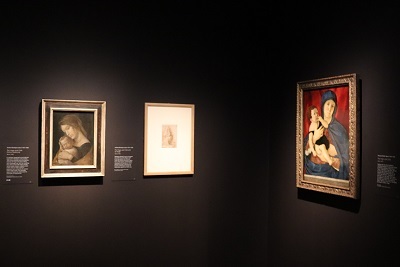 Working in Bellini family workshop allowed the two artists to experiment and develop their own particular styles, a number of drawings illustrate the artists development. 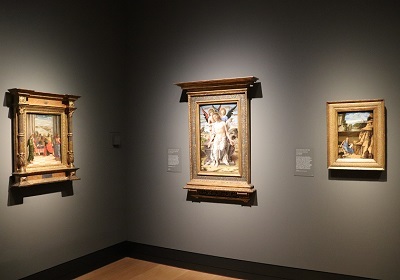 ‘Explorations’ in the following room examines the years of their closest creative exchange which was around the time of the marriage Mantegna’s marriage. 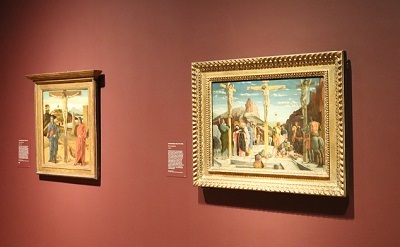 In this room it is possible to compare and contrast their approaches with near identical compositions: Mantegna’s ‘The Descent into Limbo’ and Bellini’s ‘The Descent into Limbo’ (1475–80), Mantegna’s ‘The Crucifixion’ (1456–9) and Bellini’s ‘The Crucifixion’ (about 1465). Room Three is entitled ‘Pietà’ and focuses on the origins and development of a distinctive new type of image – the Dead Christ supported by Angels. The works here will include sculptural relief, Donatello’s The Dead Christ Tended by Angels, Bellini’s The Lamentation over the Dead Christ with Saints Mark and Nicolas of Bari (1457-59) and Pieta (1457). ‘Landscape’ (Room Four) explores Bellini’s remarkable landscapes, using natural light, and atmosphere to create emotion especially in religious works (such as in Bellini’s ‘St Jerome reading in a Landscape’, about 1480-5). A number of pairings in this section reveals the different approaches to landscape between the two artists and Bellini’s influence on Mantegna with his accurate view of Mantua in his ‘Death of the Virgin’, (1460-4) . 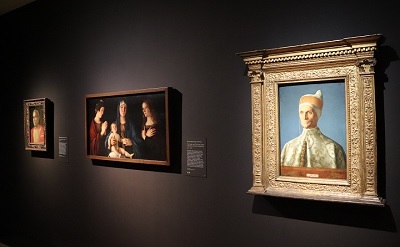 ‘Devotional Paintings and Portraits’ (Room Five) provides an important insight into a particular contribution to Italian Renaissance art, – the development of the ‘sacra conversazione’ in which the seated Virgin and Child appear in the company of saints (‘in conversation’). Here Mantegna’s ‘Madonna and Child’ (about 1465) will be seen side by side with Bellini’s ‘The Virgin and Child’ (about 1475). The final room of ‘Mantegna and Bellini’ (called ‘Antiquity’) features some of the largest and most spectacular loans, with Mantegna’s ‘Triumphs of Caesar’ (The Bearers of Standards and ‘Siege Equipment’, ‘The Vase-Bearers’, and ‘The Elephants’, c.1484–92) , lent by Her Majesty The Queen from the Royal Collection. 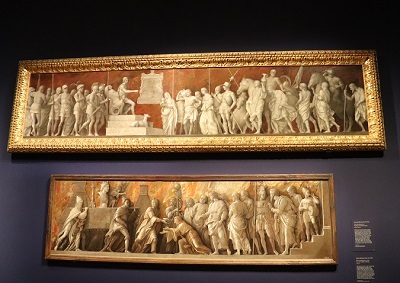 Contrasted with these are works by Bellini, including ‘The Continence of Publius Cornelius Scipio’ (about 1506) and one of his final paintings, ‘The Drunkenness of Noah’ (about 1515). 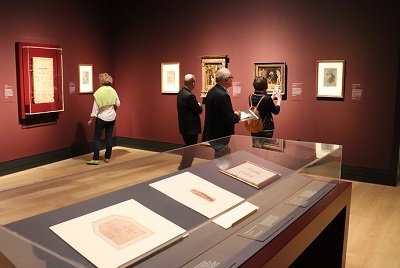 This fascinating exhibition provides plenty of insight into the artistic development of Mantegna and Bellini in the 15th century and how their creative dialogue would have a profound effect on later artists in the Italian Renaissance. Although Mantegna pursued his own artistic path and moved to Mantua and Bellini spent his entire career in Republican Venice. 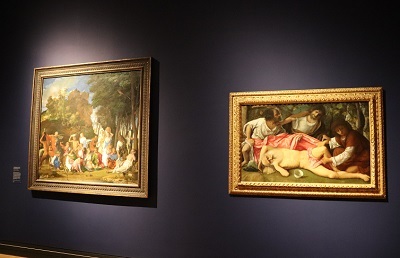 Both artists provided important ingredients like landscape and passion for the ancient world which would be themes that would be taken up and used by the ‘greats’ of Renaissance art like Titian, Correggio and Veronese. Since our launch in 2014, we attract thousands of readers each month, the site is constantly updated. By londonvisitors2014 in Exhibitions on September 27, 2018 .